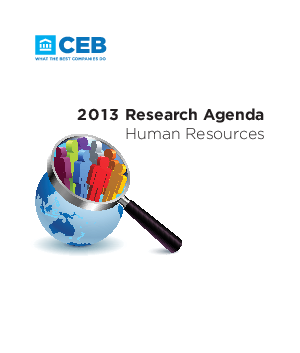 There are three key trends that you and other leading HR executives will need to confront in the next year that can unlock HR’s potential for greater business impact: Rise of Human Capital Analytics, The New (Networked) Work Environment and Talent Scarcity at the Top. Companies realize they cannot succeed without a competitive talent strategy, yet less than 50% involve their HR department in their overall strategic planning process. Today’s work environment demands a sharp focus on human capital, and the growing importance of talent is actually outpacing the ability of HR to catch up to evolving business needs. HR must be proactive in shaping a talent strategy that will ensure business outcomes, rather than simply responding to immediate needs.